shoot the beat! reads your local osu! beatmaps and transforms them into a 3D colorful environment! 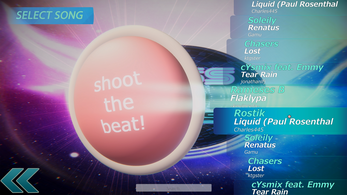 Just download the game and play it - you can play any osu! map you already have on your computer, or play the default maps. Newest public build: 0.1.5 - Be sure to always stay updated! 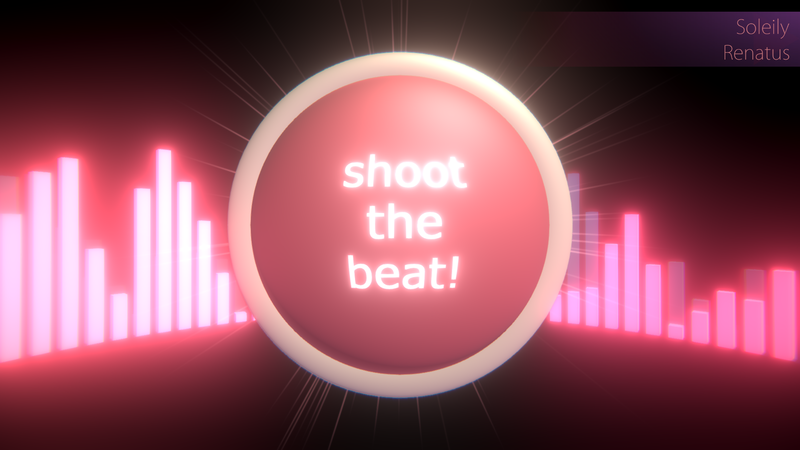 As of now, shoot the beat! is officially on alpha stage - this is the first available public build, which means some features are still being developed, so we will need your feedback and support to improve and keep going strong. We want to keep putting countless hours into the project like we have been doing for the past three months, but it's getting hard with work and college projects. That said, your support and feedback will determine how far we go - this is a community, after all :) If you wish to support the game, you can do so at Patreon! This is completely optional, but it would indeed mean a lot to us. We are a team of only 2 people, with jobs and responsibilities who are sacrificing a lot to work on this project. 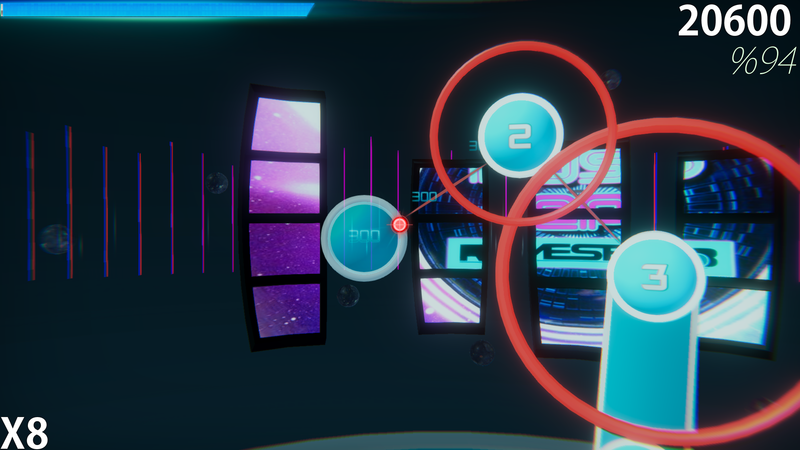 Additionally, consider supporting and playing the awesome game that inspired us, osu! - without it shoot the beat! would obviously never have been a thing! New! Join the public Discord server! Please be patient as the game is currently being developed. All feedback is appreciated! - This is a Wx64 build ONLY. More platforms will be eventually supported. - If your folder is too large, you'll be on "LOADING..." screen for some minutes when you boot up the game for the first time (processing new beatmaps), and up to a minute each time after that. The database is being optimized, so if your folder is too large, it might take some seconds to boot up the game (30gb folder on HDD takes around 30-45 seconds). This is currently being optimized as a priority. 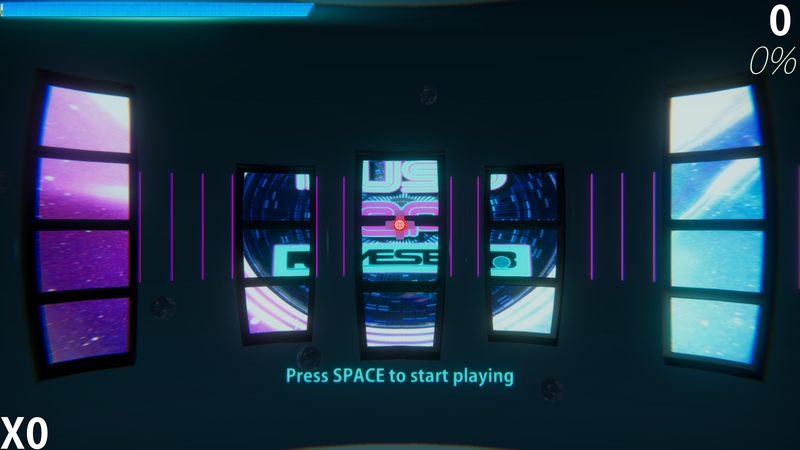 If you get stuck on "LOADING..." screen after changing the osu! folder path (NOT when starting the game) restart the game and it should be fixed. W10 database and loading speeds have been improved dramatically (need more improvement yet). W7 is apparently having issues, please report at Discord server to let us know about your DB speeds. More info = quicker fixes. No matter what, the game won't load any songs. If I try it will load forever and not work. Also, the discord link is expired.